The family run business made the switch to source only cage-free eggs, resulting in a better life for many Australian layer hens. 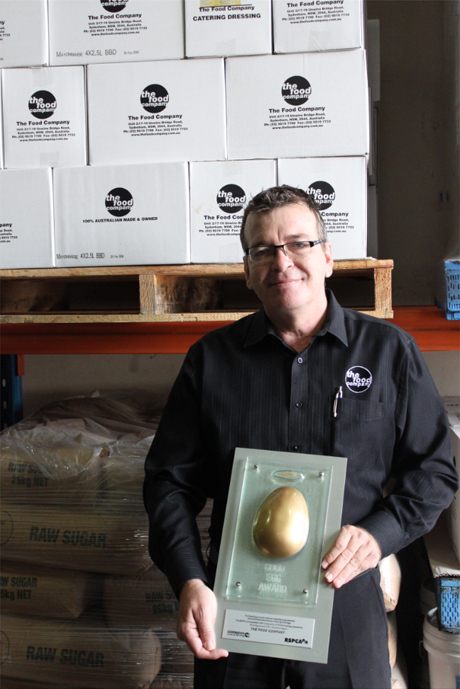 The Good Egg Awards acknowledge organisations that have made the switch to cage-free eggs in their products. RSPCA Australia CEO Heather Neil said The Food Company’s decision to make the switch reflected growing consumer demand for higher welfare food options. 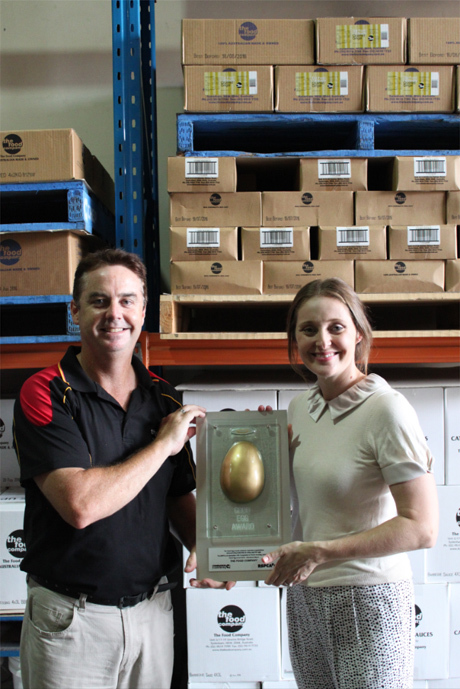 The Food Company’s Good Egg Award follows the RSPCA’s ongoing work to improve layer hen welfare through the Set a Sister Free campaign where supporters continue to contact food manufacturers demanding a switch to cage-free eggs in products. “The Food Company was the first of all the companies contacted as part of the Set a Sister Free campaign to listen to their customers and make the switch,” said Ms Neil. “This shows clear leadership and a drive to stay ahead of the pack and we are thrilled to publically award them for making this important commitment. 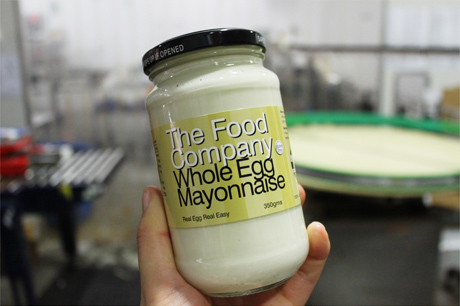 “Half of all eggs produced in Australia end up in manufacturing and the food service industry, most of which are produced by hens confined to cages, so commitments like this from The Food Company is an important step. “The RSPCA encourages other food manufacturers to follow The Food Company’s lead by switching to cage-free eggs and helping Set a Sister Free,” said Ms Neil. 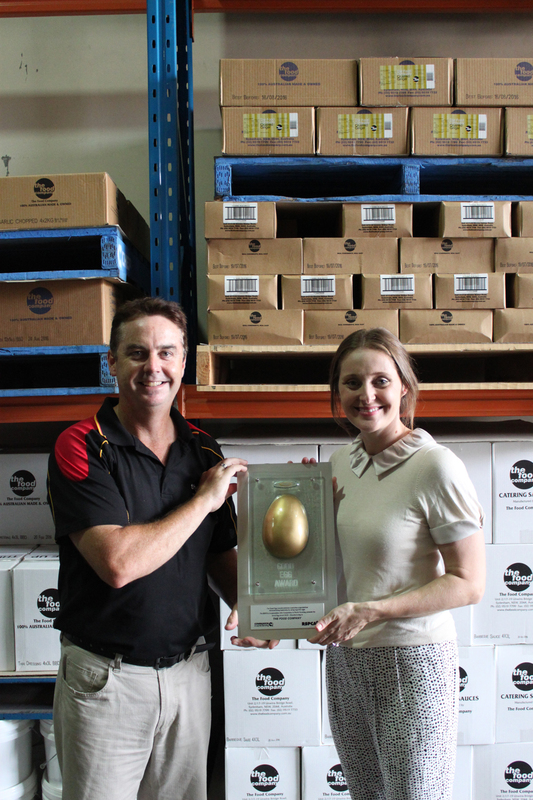 The Food Company Director, Matthew Fletcher is presented with the Good Egg Award by RSPCA Australia Humane Food Manager, Hope Bertram. Mark McGann, Food Service Sales, The Food Company. Proud to be using cage-free eggs!